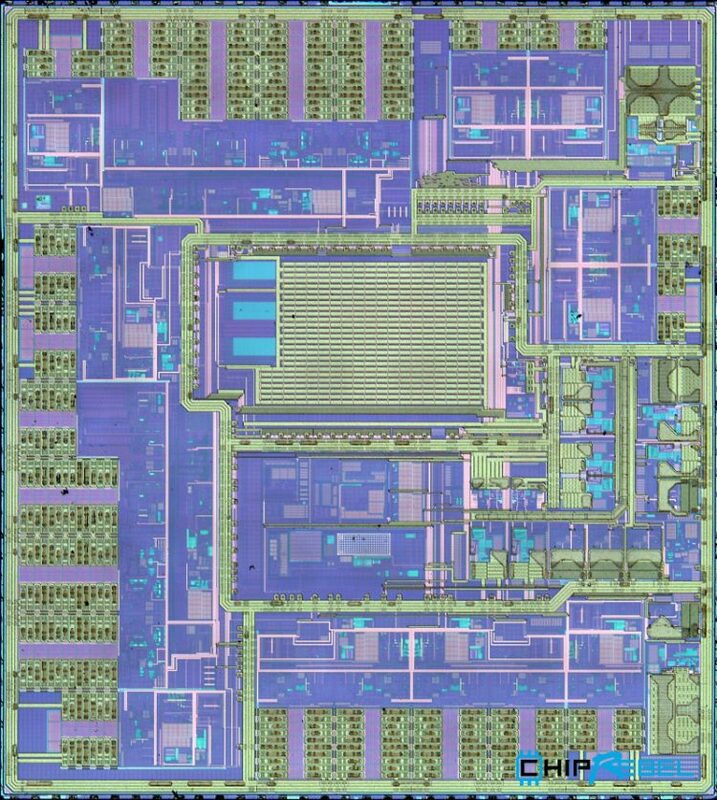 Used as a Power Management IC in the iPhone 8. Outside package showed 338S00309 laser marking. 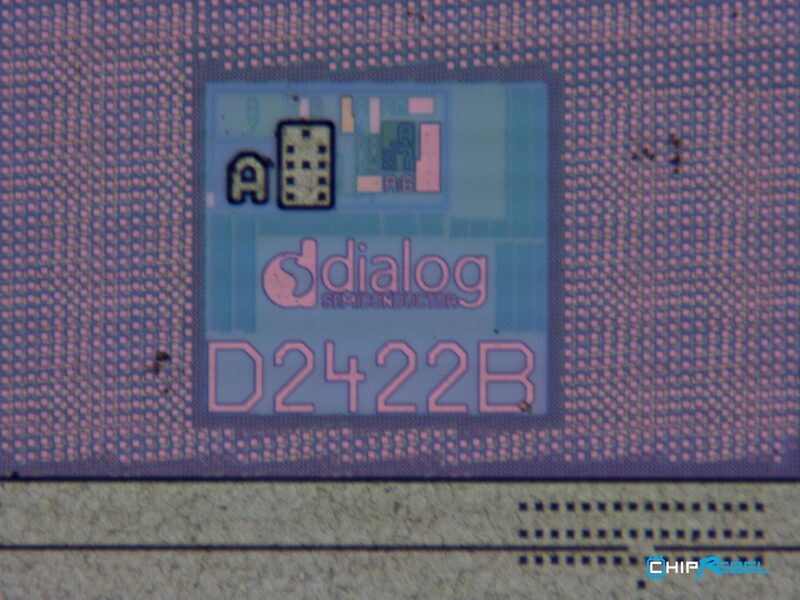 The exposed die revealed a D2422B from Dialog Semiconductor. Below 800 pixel images are shown. 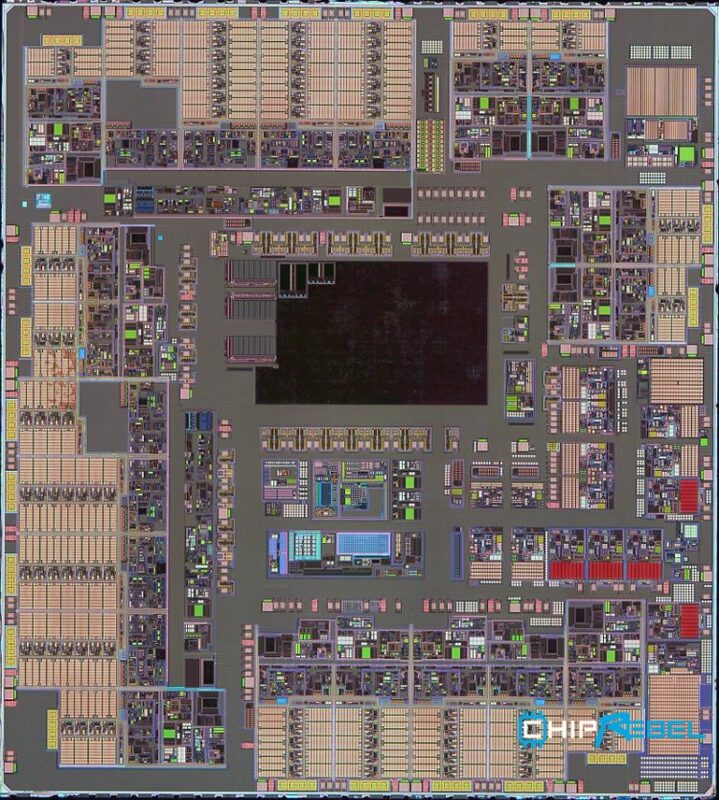 High resolution floorplan images are available as downloads on the right side.